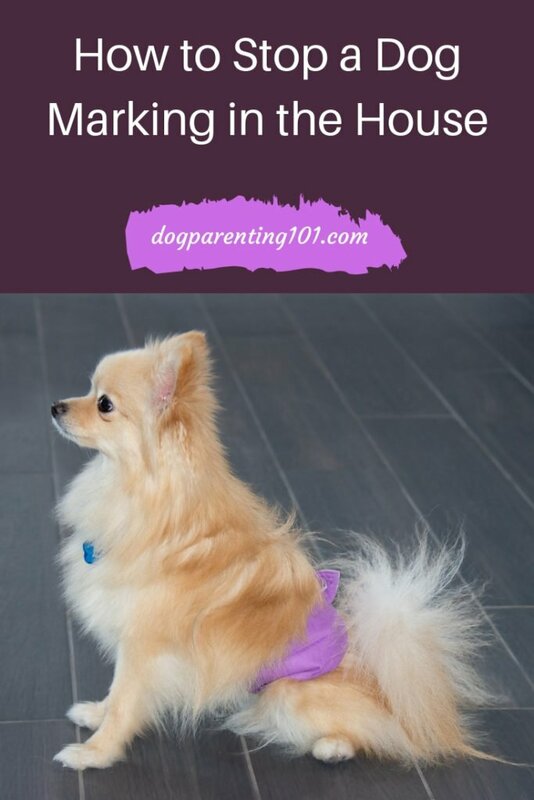 In this post we’re going to be talking about how to stop a dog marking in the house. Before I go any further it’s important for me to clarify one major point –there is a difference between a dog marking in the house and a dog peeing in the house. Puddles in the house will typically signal peeing, while urine marking is done in small amounts, usually to an upright surface, although horizontal surfaces work well too!! If you’ve determined it’s peeing, the question now becomes why? You may want to re-visit your dog walking schedule, and make sure everyone responsible for taking the dog out is, in fact, taking the dog out. He may not have access to a water bowl wherever he ends up settling, can’t be bothered to find one so drinks a lot when he finally does find a water source. If you have an old dog, increased drinking may be due to a change in medication, kidney disease, diabetes or dementia to name just a few reasons. If this is the case please see your vet as soon as possible. What is dog marking NOT? It is not a house training issue, your dog seeking revenge or being spiteful for something you’ve done. It seems fixing a dog when they’re fairly young makes it less likely they’ll mark. Unfixed males are bigger culprits than fixed ones, and small breeds more than larger ones. Females have also been known to mark, but it’s far less common. Yell or hit your dog, it is never an answer to any issue. If you come home and find he’s been busy, just clean it up. There’s nothing to say after the fact. Check-up time. The first thing you should always do when you notice a change in your dog’s behaviour, especially if you live with a senior dog, is to take him to the vet for a check-up. You want to rule out medical issues first. Neuter your dog. Although it’s not a guarantee, it’s a great start and should be done anyway! Here’s my opportunity to lecture about the importance of spaying and neutering in order to prevent unwanted litters. Before you start to allow your animals to breed for profit, walk into any animal shelter and see them overflowing with abandoned animals. Okay I’m off my soapbox! Keep objects out of reach. If he likes to mark visitors’ belongings, new items you’ve just bought or whatever you notice he tends to like doing it on, keep that/them out of reach. Catch him in the act. You have the best chance of your dog learning that it’s not okay if you catch him in the act. When we first adopted Jack he started marking, something I had never experienced before, and quite frankly wasn’t very fond of! After catching him a few times and saying “no” like I meant it (and I most certainly did! ), he stopped. I do know he’s likely to do it in someone’s house if I’m not watching so I keep my eye on him when we’re visiting. I believe he’s marking his territory and seems to think a lot of things belong to him. Introduce the newcomer. If your dog is letting you know he’s anxious or stressed about the new face in the house, introduce them and let them get to know each other. Treats or toys are great ice breakers. If your dog has his own spot, keep the newbie out of there until they’re on good terms and even then he may not be welcomed. Keep them separated if you have to when no one is around, just until they’re getting along. Watch for signs and make some noise. Look for signs he’s about to lift his leg – he could be showing a bit too much interest in an item or area, or sniffing in one spot, then say “no” in a firm voice, clap your hands, stamp your foot…whatever works. No need to scream, you don’t want to scare him you just want to distract him. Physical exercise and mental stimulation. 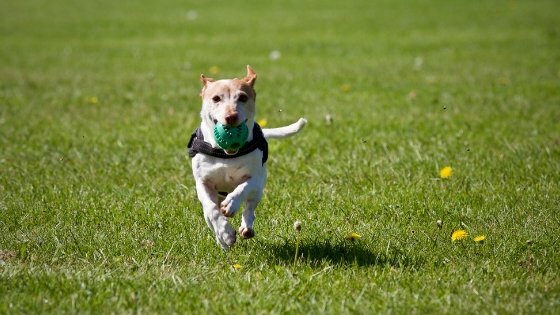 Boredom can quickly make marking behaviour worse, so make sure your dog gets plenty of exercise (swimming, walking, hiking, agility, indoor dog park…according to his mobility level) and mental stimulation in the form of puzzle toys and games. What’s your dog’s marking behaviour? For example, does he pee on his bed or your other dog’s bed if left alone too long? Pick the bed up off the floor next time you go out, and see if that makes a difference. Jack was never keen on my heart dog Red. He didn’t bother her but I do believe he was jealous of her so at one point he started to mark her bed. I stopped that behaviour very quickly and all it took was picking her bed up off the floor when I went out. Clean. 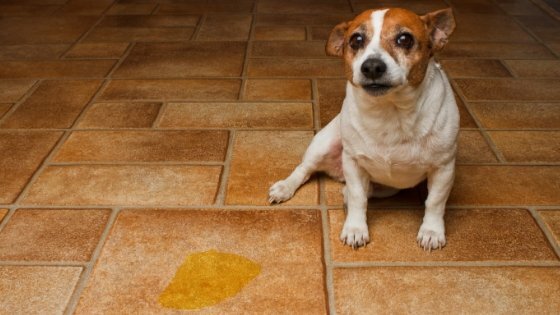 Any area your dog peed in must be thoroughly cleaned and odours eliminated. Masking them isn’t enough, because your dog can still smell them. Separation anxiety. Dogs that suffer from separation anxiety may pee from anxiety or lack of confidence. See my article on treating separation anxiety for tips that may help. Make him feel safe. You need to train him, create structure and routine. This goes a long way to reducing anxiety. Belly band. As the name suggests it is a band of fabric that wraps around your dog’s belly and absorbs urine. Confinement. Some dogs may never be trusted, and since it’s impossible to watch him 24 hours a day, your best bet may be to limit his free run access of the house. Confining him to smaller areas with baby gates and barricades when no one is around is a good solution. If you have a dog that urine marks, believe me I know how you feel! I do hope you found the information helpful, and I would be very interested to hear how things are going. Is there a specific item your dog marks? Can you recognise the signs before he does it? Have you been able to stop this behaviour and if yes, what’s your secret? Sharing helps others so please leave a comment below. I understand Dachshunds are very prone to separation anxiety. I wonder why that is? Excellent, comprehensive advice. Going to share this post. One of the biggest mistakes I see people make is attributing malicious motivations to the animal. Thanks very much. I agree, it’s like they think their animal is doing something out of spite. I have dealt with urine marking in cats, but never with dogs. In fact, I didn’t even know dogs marked in a similar way to cats. Ruby sometimes has accidents in the house when she is stressed or when her separation anxiety flares up. I know her triggers – most of which involve us being away from home or when she is alone during day. Poor Ruby, hopefully she doesn’t feel anxious too often. That’s interesting because I had cats long before I had dogs but never had an issue with marking, it’s only ever happened with the dog I have now. Phew Layla does not pee in the house at all, am relieved with that one although she did it in my bosses house as he had two dogs but my Boss was great about it and we decided next time I go there to leave her at home. She thank goodness goes out a lot with me that really helps. I guess Layla just needed to show them who really was the boss!! I know what you mean. Sometimes it feels like we’ve had to deal with most of the issues out there, and in our case marking was another one of those issues!! Glad to hear you were spared! Our dog never used to pee in the house. When he became a senior, he started having less ability to control his bladder. There are times when I will wake him up from a nap and he’s wet his belly band. At the same time, I think there is some marking involved. There are the occasional times I’ll see him lift his leg inside the house. I suspect it’s a reaction to either our former foster dog or to living with three cats. At any rate, we rely on two solutions. We take him out as often as feasible and he always wears belly bands. That’s definitely a very common issue in senior dogs, but it’s interesting you think some of that is also marking. It makes sense reacting to a previous dog or he’s not loving the cats!! Jack peed on Red’s bed a few times, and I do believe it was jealousy pure and simple. So far so good. But I realize that as my boy gets older… who knows? He does have MMVD and pees a LOT because of the meds. BUT indoor potty training has solved all issues so far. With age, illnesses and even medication increased peeing isn’t a surprise, but it’s good to hear urine marking isn’t an issue you’re dealing with. I’ve never owed a dog but can say that cats can participate in similar marking behavior too. I had no idea there were so many more possible reasons though. It can be medical or behavioral (territorial). These are great tips and solutions to try. Also, for anyone looking to remove stains and odor, I can testify that white vinegar and a wash does wonders! Absolutely true, cats definitely mark as well. Thanks for the tip about vinegar. I have used it to clean in the past but I must admit the smell puts me off. 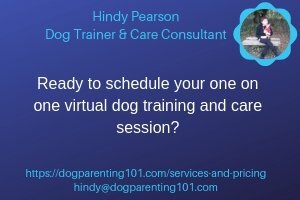 Comprehensive advice that covers every option for when a dog owner is really struggling. One thing hit home with me. Your dog is not out for revenge or being spiteful. I KNOW there are people who are probably thinking just that. It’s why cats end up at the kill shelters. The owners ignore the dirty litter box and blame the cat. It is NOT your dog’s fault! Dogs need walks, and dogs need fresh water and people need to learn their own dogs needs!!! I agree about the litter box. It’s shocking to me how people can leave a litter box filthy, then freak out because the cat is peeing everywhere else. It’s sad because too many people don’t know how to satisfy their animals’ needs, and worse they won’t reach out or accept help when it’s offered. There are so many similarities between how to react with both dogs and cats. The first thing one should do with cats is to take them to the vet to make sure there is nothing physically wrong. You’re so right, whether it’s a dog or a cat and you’re seeing a change in behaviour, the first step should be a trip to the vet to rule out or confirm a health issue.